House hunting can be fun. Sometimes looking at homes that you know you could never afford is fun too. 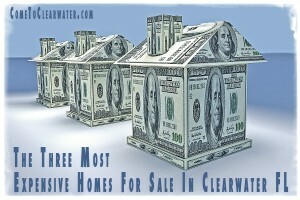 Clearwater has a few pricey properties for sale. Here are the top three. 802 Druid Rd S, Clearwater, Florida 33756 is the most expensive. It has 10 bedrooms and 11 bathrooms. It’s listed for $9,999,999.00. Named Century Oaks, it’s located in historic Harbor Oaks. Enter the property though decorative iron entry gates on a red brick drive to a grand porte-cochere. The home has 17,000 square feet of living space on two acres of gorgeous landscaping surrounding this waterfront home. Century Oaks has a stately two-story ballroom, a movie theater with seating for 15, an executive home office and a trophy room. Terraced gardens lead down to a swimming pool, lighted tennis courts covered boathouse and docks, and historic clock tower. This historic property was built in 1915 and is worth every penny. 906 Druid Rd S, Clearwater, Florida 33756 is the next most expensive. Listed at $5,900,000.00, the 7 bedroom, 6 bath, 10,177 square foot home is also found in the gated Harbor Oaks community. The home has a dock with boat lift, Pebble Tec pool and spa, gazebo, playhouse and lushly landscaped grounds. The home has high end touches like a two story living room with two way fireplace, a library with custom built in bookcases, a formal dining room, chef’s kitchen and spacious game room with bar and safe room, exercise room and 4 car garage. 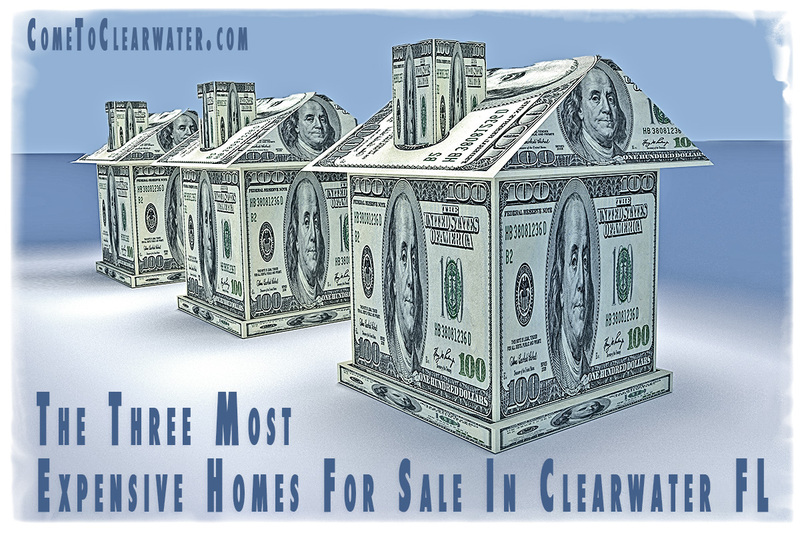 The third most expensive home is 844 Eldorado Avenue, Clearwater, Florida 33767 is listed at $4,700,000.00 has 4 bedrooms, 5 baths and 4,921 square feet of living space. The views this property affords are well worth the price tag. Once you walk in the foyer you’ll be tantalized with a view of the beach and Gulf. Each bedroom has its own full bath and walk in closet and balcony. Then take the elevator downstairs to the living space which includes a formal dining room, formal living room, chef’s kitchen that opens to the family room with a fireplace. All this luxury is protected with an AMX Smart House control and security system.